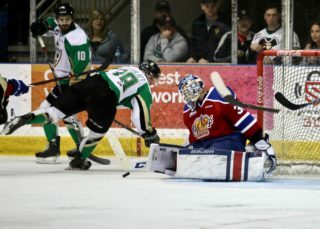 Prince Albert, SK – The Prince Albert Raiders (45-7-0-2) prepare for a busy week with four games in six-day span. 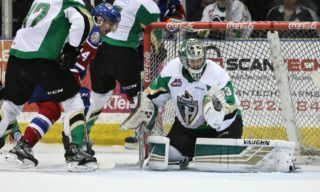 Last week, the Raiders swept a three-game road trip through Alberta beginning on Monday night with a 5-1 win over the Edmonton Oil Kings. 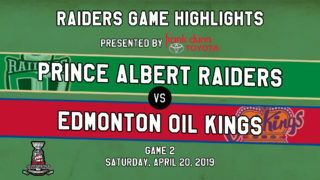 On Saturday, the Raiders downed the Calgary Hitmen, rebranded as the Calgary Wranglers for the night, at the Stampede Corral by an 8-2 score. The weekend concluded the next night with a 6-5 win over the Lethbridge Hurricanes. Four Raiders reached WHL milestones this past week as well. Dante Hannoun and Max Martin played in their 300th and 200th career games, respectively. Saturday night’s win was Marc Habscheid’s 500th career win in the WHL. Habscheid is the eighth WHL coach to reach the milestone. He is also five games away from coaching in his 1,000th WHL game. On Friday night, Sean Montgomery put his name in the Raiders record book in his hometown. The overager is now the all-time games played leader for the Raiders with 332 games and counting. Montgomery passed Brett Novak, who previously held the record at 330 games. 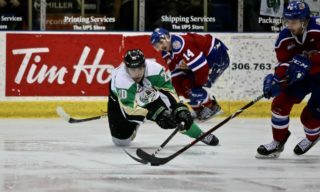 This week, the Raiders open their slate of games on Wednesday night in Swift Current against the Broncos (10-38-2-2) at the Innovation Credit Union iPlex. Game time is 7 p.m. 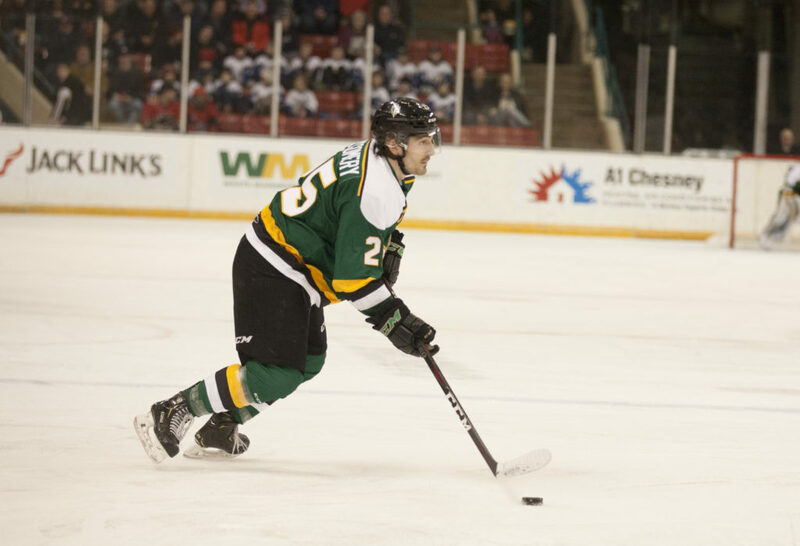 The Raiders are back on home ice on Friday night when the Brandon Wheat Kings (23-22-3-4) visit the Art Hauser Centre to begin a home-and-home series. On this night, the Raiders will be wearing their throwback sweaters worn last weekend in Calgary. Puck drop is 7 p.m. Following the game, the sweaters will be auctioned live by Schmalz Auctions in the Ches Leach Lounge. Also, 175 retro pucks will be on sale for $20 with a number attached to each one. A number will be drawn in the third period. That person will be able to claim any of the sweaters before they go to auction. The sweater must be claimed prior to the start of the auction or the offer will be forfeited. 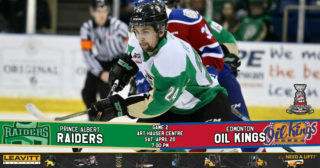 The next night, the Raiders head to Brandon to conclude the home-and-home series. Game time at Westoba Place is 7:30 p.m. The week concludes with a special Family Day Game on Monday, February 18 against the Moose Jaw Warriors (30-14-6-2). Family Packs will be available for the game. The package includes two adult tickets, two child tickets, four soft drinks, and four hot dogs for $59. The packs are only available at the Raider Office or the box office. Also, there will be no alcohol allowed in the bowl. Alcoholic beverages will only be served and permitted in the Ches Leach Lounge. Following the game, the Raiders welcome the kids and kids at heart in attendance to the ice to take part in a post-game skate with the team. Kids must wear helmets on the ice. Puck drop for Monday, February 18’s game is at 4 p.m.